Police have issued a public warning after a cyclist and pedestrian collided on a city road this morning. 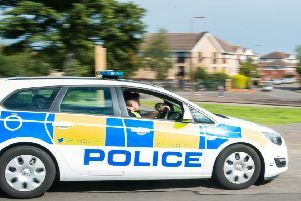 At around 8.55am a 24-year-old woman stepped onto the roadway in Pentland view and collided with a 52-year-old male cyclist. Police Scotland said: “We want to take this opportunity to highlight the potential risk to your safety if due care and consideration is not taken. Police Scotland is currently running its vulnerable road users campaign and a range of advice is available on our website, all of which aims to keep the various different types of road users safe when travelling.